Q1: What is auto debit? 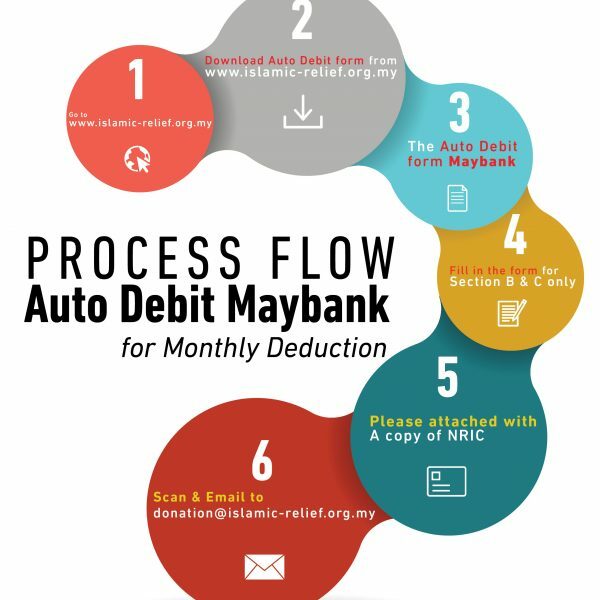 Auto debit is a method of payment that allows your contribution payments to be electronically withdrawn from your designate Maybank account. You are the only one who gives authorization for an auto debit to occur. Q2: How does auto debit work? Each month your contribution amount will be withdrawn from your Maybank account that you designate, as though you had written a check. 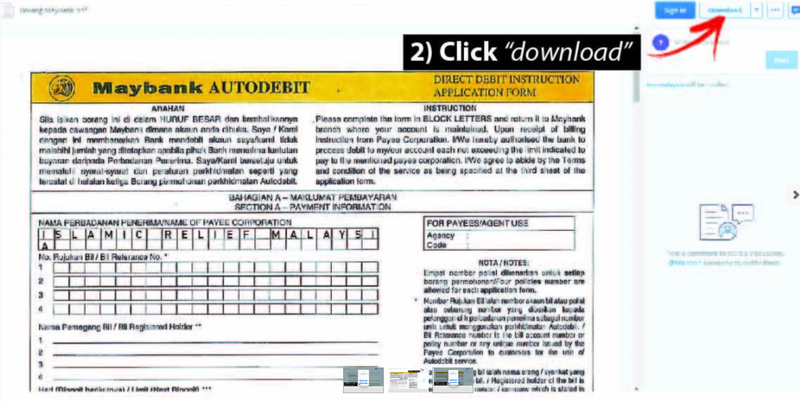 Q3: Why does the Islamic Relief Malaysia provide auto debit? Islamic Relief Malaysia provides this service to donors because it is safe, fast and convenient. There is no need to remember to make payments, no need to write checks, or pay postage to mail the checks. The risk of a delayed payment is reduced because your payment is automatically submitted on the due date. In addition, the withdrawal is clearly displayed on your bank statement, making it easier to keep track of the finances. Q4: How do I sign up for auto debit? Q5: When is the auto debit effective after I enrolled? If your enrolment is received by the 1st of the month, then your payment will be auto debited from your bank account ON 28th of the month, for that month. Enrollments received after the 1st of the month begin auto debit in the following month. Q6: If I am behind on my payments, how much will auto debit withdraw from my bank account? When auto debit is initiated, any open balance will be taken from the account. If you are in arrears, please contact Islamic Relief Malaysia to discuss how the best to “catch up”. Q7: What types of tax exemption are recognized? All donations are entitled for tax exemption under clause “Tax Exemption under Subsection 44 (6) of the Income Tax Act 1967”, except for Zakat, Fidyah, Wakaf and Qurban. Q8: What evidence should be submitted with the “Auto Debit Authorization Form”? Auto debit authorization form must be submitted together with the photocopy of the Identification Card. Click NO THANKS once the showing pop up is appear.